Relationships are complicated under the simplest of circumstances. Add an age difference between partners, and you add a whole separate level of complexities to the relationship. You may find insecurities within yourself of which you were unaware, or may find that your friends and family can be critical of the relationship. However, an age difference in a relationship can be overcome, and can lead to a rewarding romance. Relationships can be complex, but fun. Communicate with your partner. One of the greatest problems in relationships is a lack of communication, and an age difference can feel like an elephant in the room. Talk about the age difference, what it means and how it makes you feel. Openly discuss topics such as children and future goals for the relationship. Share concerns and bond over understanding each other's perspective. This will encourage respect and growth within the relationship. It will also make you aware of what your partner is looking for and needs, and will help guide you into a healthy relationship. Engage in activities you both enjoy. Whether golfing, movies, or fine dining, spending time things you mutually enjoy will strengthen the bond and take the focus of the relationship away from the age difference. The more interests and hobbies you share, the more you will find in common to enjoy together. Try new activities together in addition to enjoying those that you have loved for years. Avoid self criticism. You may be overly concerned with looking older than your spouse, or may be excessively aware of the age difference. You may even feel a need to change your appearance to please your younger spouse. Avoid engaging in self doubt. Talk to friends, counselors, or other trusted advisers if you find a need to self criticize. Discuss the relationship with your close friends and family. It is important that your friends and family understand the relationship and what your partner means to you. An open dialogue about the age difference in the relationship will help your family and close friends understand the relationship and change any negative perception of the relationship they may have. Additionally, it will give you an opportunity to share with them how much you value their support of the relationship and it will encourage respect and open communication from all parties. Be each other's best friend. When a relationship is based on friendship and respect, differences are not viewed as problems as much as unique parts of the fabric of the relationship. O Magazine: Love: What's Age Got To Do With It? Marie Claire: Does a Big Age Difference Doom the Relationship? Harleigh, Sharon. 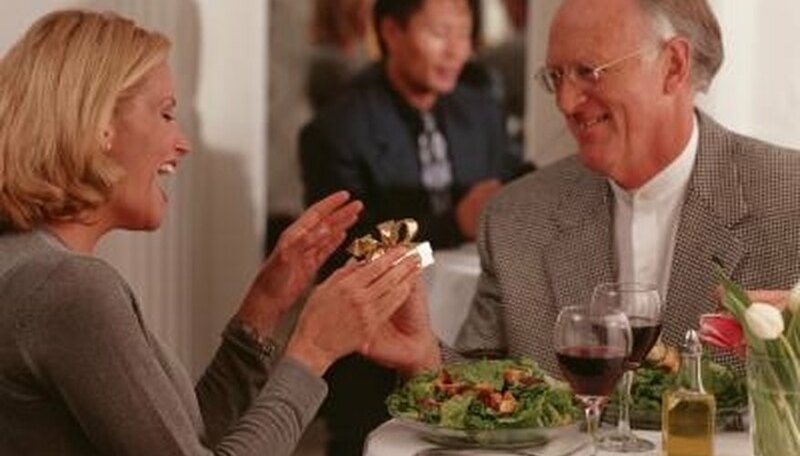 "How to Overcome Age Differences in Relationships." Dating Tips - Match.com, https://datingtips.match.com/overcome-age-differences-relationships-8155112.html. Accessed 24 April 2019.